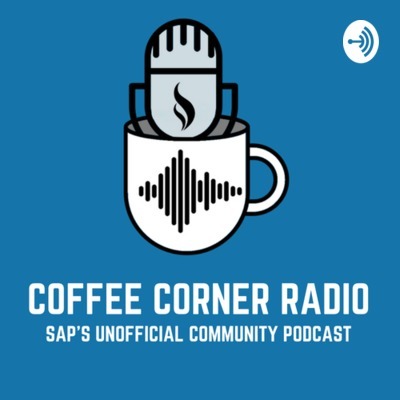 This podcast is for the SAP community provided to you by community members. The podcast will provide content from the community in a audible format for you to consume on the road. This episode brings a new host on the show. Please welcome Martin Fischer! He interviews Holger Mueller on topics concerning the change of board of directors as well as the roadmap for SAP. Holger recently published an article on the subject. In this episode I sit down with Colleen Hebbert, Graham Robinson and Chris Rae at the SAP Stammtisch in Sydney and we discuss the recent Mastering SAP event and other top of mind topics in the SAP Community. Sit back with your favourite beverage and enjoy! In this podcast Simon and I interview Florian Henninger for a talk about Eclipse and Abap in Eclipse. What made him do the shift. This episode is packed with tips and tricks about Eclipse and also some of the drawbacks. We hope you will enjoy it. In this post, I revisit some principles that help us “think like the web” and think about them in the context of today’s SAP technology landscape and community. A recording of a blog post by DJ Adams from 12th of November 2018. In this post, I think about the importance of core technologies, and how the arrival of functions-as-a-service might be merely the next incarnation of an idea that’s existed for a while. In this episode Simon chats with Svea Becker - SAP Community Advocate for SAP Community Events. They discuss SAP Inside Tracks, Stammtisch and the new SIT Council. Enjoy! In this episode we are live from Las Vegas. I sit down with DJ Adams, Al Templeton, Adrian Vaughan, Mike Doyle, Matt Harding, Andre Leidenfrost and John Patterson to discuss SAP TechEd Las Vegas 2018. In this episode we welcome Colleen Hebbert and Chris Kernaghan to a chat about how to stay on top of your learning as well as juggle your work life balance with a family, travels etc. This episode jumped to life based on a picture published by Bjoern Goerke about a very special reunion. https://twitter.com/_bgoerke/status/1022480891300470784 Think of a time in the early days of the internet, where cloud was in the skies, virtual reality was reserved to NASA technologies SAP had just entered the German stock index. Well the topic of todays podcast is from this time, its where our 4 guests teamed up to create what we know as the ITS. This episode hosts Bjoern Goerke, Michael Heckner, Michael Bechauf and Thomas Grassl for a trip down memory lane. I just realised that SAP Press had subscriptions based on one of their latest tweets. In this podbite I have a chat to Florian Zimniak on what the SAP Press subscription has to offer and he also share's some exciting news from SAP Press. Give us feedback on which books you would read with the service on https://answers.sap.com/questions/599833/edit.html to win one month free subscription. In this episode we chat with Nigel James and Graham Robinson both long time SAP Community members about Nigel's recent Blog titled ABAP - The Special Snowflake https://blogs.sap.com/2018/07/02/abap-the-special-snowflake/ We discuss ABAPGit, the importance of automated testing and the future of ABAP in the Cloud. Enjoy! This podbite brings you and interview done by a good friend of the show DJ Adams. The interviews RUI Nogueira about the new application programming model for SAP Cloud Platform. As a bonus there is a big secret to be revealed in this podbite. We hope you enjoy. In this episode I read you a blog post that I came across in the SAP Community recently that I really enjoyed. The post was written by none other than Mr. DJ Adams here's a link to it: https://blogs.sap.com/2018/05/21/monday-morning-thoughts-milestones/ I hope you enjoy it as much as I did. Tweet us your feedback and suggestions at @SAPCoffeeCorner. Thanks for listening!